Kidneys are located in the posterior part of the abdominal cavity on each side of the spine and they filter the blood. 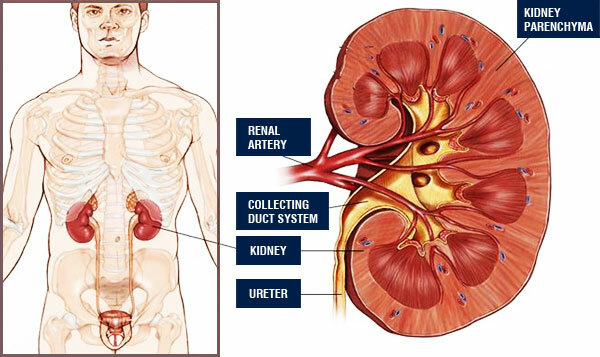 Kidney cancers may be studied in 2 parts: parenchymal cancers (region of urine production) and collecting duct system cancers (renal pelvis). We will first touch on parenchyma cancer and then give some information about the collecting duct system cancers. Renal parenchymal cancers constitute 3% of all adult cancers. Male/female ratio is 2:1 and it is commonly seen between 50-60 ages. People with some congenital kidney diseases (horseshoe kidney, polycystic kidney disease etc..) and several systemic diseases (von Hippel-Lindau syndrome) are reported to present with kidney cancer more frequently. It is also reported to be seen more commonly among people with renal failure. Cigarette consumption has been verified to increase the risk for kidney cancer. Moreover, excessive use of painkillers is known to elevate the risk for renal parenchymal cancer, as well. The classic triad observed in renal parenchymal cancer cases (hematuria, flank pain, and palpable mass) is found only in 10-15% of patients. Many cases are diagnosed accidentally while imaging for other reasons. In few patients, diagnosis is established due to complaints associated with metastasis (e.g: cough and shortness of breath in lung metastasis; bone pain and fractures in bone metastasis). Widespread use of imaging modalities elevates the rate of accidental kidney cancer diagnosis. 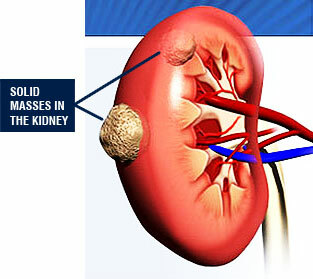 Currently, ¾ of kidney cancers are known to be diagnosed accidentally. The increase of this rate depends on the widespread use of ultrasound in check-up programs. Therefore, early diagnosis rates show an increase, as well. Presence of a solid mass on the abdominal USG should suggest renal parenchymal cancer. Cases prediagnosed with cancer, should be further evalauted by more detailed imaging modalities such as computed tomography (CT) or magnetic resonance (MRI). The most likely site of kidney metastasis is lung. It may also spread to the liver, bones, adrenal gland, brain, and lymph nodes but at a lower frequency. As the diameter of the tumor rises, the risk of metastasis elevates, as well. Lung radiography, bone scintigraphy, positron emission tomography should be performed if required by the physician. 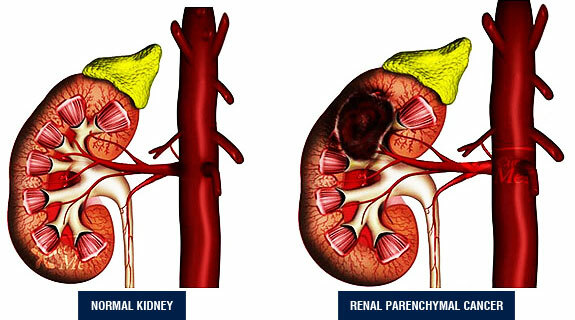 Entire surgical removal of the tumor is the primary treatment of renal parenchymal cancer. Depending on the size and localization of the tumor, the removal of the tumor with the surrounding fat tissue or adrenal gland (radical nephrectomy) in cases where required to, is the most common treatment method. Those operations have been performed with traditional open surgery for years and currently they can be conducted by standard laparoscopic or robotic laparoscopic technique*. In this method, scar tissue formation and blood loss are lesser than in open surgery and patients can return to their daily life more rapidly. If the diameter of the kidney tumor is ≤4cm, the removal of only the tumor suffices (partial nephrectomy-nephron-preserving surgery). Preservation of normal kidney tissue and removal of the portion with tumor can be carried out either by open surgery or standard laparoscopy or robotic laparoscopic method**. Cases where tumor has a large size or renal vein displays tumor thrombus, traditional open radical nephrectomy should be performed. The place of chemotherapy and radiotherapy is very limited in renal parenchymal cancer treatment. New agents are developed against this tumor which shows high resistance against chemotherapy. Radiotherapy benefits only in treatment of metastatic lesions (bone, brain). * The first documented laparoscopic radical nephrectomy operation in treatment of kidney cancer in Turkey, has been performed by Ali Rıza Kural M.D. and his colleagues on July 2002 in Gayrettepe Florence Nightingale Hospital. To date, Dr. Kural and his team have applied this method successfully more than 100 times. ** The first partial nephrectomy operation with da Vinci robot in Turkey has been conducted with “da Vinci S HD” (latest product of robotic technology) by Ali Rıza Kural M.D. and his colleagues in Florence Nightingale Robotic Surgery Center in 2008. Cancer is rarely seen in renal collecting duct system. Collecting duct system cancers, known as pelvis renalis and ureteral tumor, share the same histological structure of bladder cancers. Cigarette consumption and exposure to certain chemicals are known to be the risk factors for development of cancer in the collecting duct system. Majority of the patients notice blood in their urine. Sometimes clots may accompany this blood. Flank pain, nausea, vomiting are infrequent symptoms. Diagnosis of those tumors are difficult. Use of computed tomography (CT) or magnetic resonance (MRI) on patients suspected of having cancer in the collective duct system may help the diagnostic process. However, in some instances, reaching a diagnosis may require insertion of a flexible ureteroscope through the urethra for removal of a sample tissue from the tumor. In small tumors, the tumor can also be treated with laser. 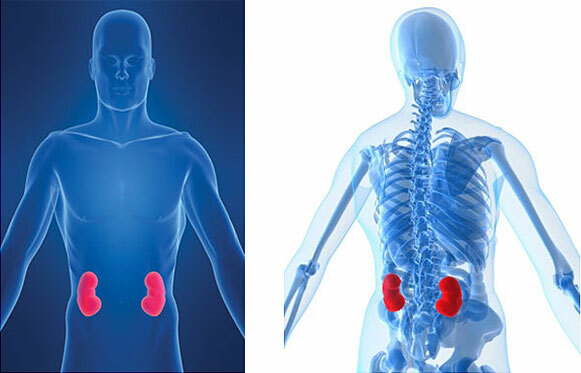 Ideal treatment of the cancers in collecting duct system of the kidney is removal of the kidney together with the ureter and the area of its insertion to the bladder. These operations have been performed by traditional open surgery for years which requires 2 different incisions for removal of both kidney and the lower ureter. Currently, these procedures can be performed also laparoscopically and only a single scar tissue of 7cm from which kidney and other tissues are removed, is left. Clinical studies show that laparoscopy technique can be safely performed in such cancer types. The experiences of our team suggest the same conclusion and until now 25 patients have been operated by this method with successful results. The bladders of the patients who were subjected to operation due to renal collecting duct system tumor (pelvis renalis and ureter tumor) should be controlled during and after the operation at regular intervals because of the risk of tumor development.